Founded in 1913, Ferrum College provides life-long learning and outstanding career and graduate school preparation in a setting of rich natural beauty.Located in the foothills of the Blue Ridge Mountains of Southwestern Virginia, Ferrum is a four-year primarily residential college with easy access to the major metropolitan areas of Roanoke, Virginia (35 miles to the north) and Greensboro, North Carolina (70 miles to the south) where shopping, social, dining and entertainment opportunities abound. Surrounded by mountains, lakes, rivers and state parks, and numerous small towns brimming with regional heritage, Ferrum also boasts a wide variety of venues for outdoor adventure and recreation and cultural enrichment.Ferrum offers 33 areas of study ranging from business and environmental science to teacher education and criminal justice, campus-wide wireless Internet, small class sizes, and a dedicated faculty. 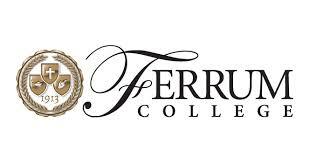 The 1,500 men and women who attend Ferrum come from 25 states and a dozen countries, and 80-plus percent live on Ferrum's 700-acre campus.